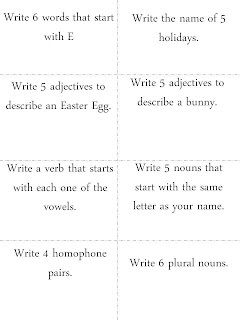 Mentor Text and 2 Last Minute Easter Ideas! So from the title you can tell this is crazy post with lots of different things - including freebies! First up, I am linking up with Jivey for her weekly Workshop Wednesday linky. This week's theme is mentor texts you use in writer's workshop. I am sharing a book I "usually" use when launching writer's workshop in my class. I love this book! I love the black and white photos of their favorite parts of their bodies. I love that it is written by children. I love what they have to say about themselves. I love that each writing piece is short. I use this book to show my students that they are real authors - their writing is important and could be part of a "real" book. I use this book to show them that good writing does not mean lots and lots of writing. I use this book to show them that they do have writing ideas and one small thing can be a great idea. I take pictures of my students favorite part of their body, print in black and white and put it with their writing. They either become a bulletin board for open house or into a class book. I love showing the book to the students when they are a few years older - they love it. You may ask yourself why is she sharing this book now - it is almost April!! But I do have a reason. I am using this book differently this year. Last year my youngest daughter brought home my Mother's Day gift from school and it was "The Best Part of My Mom" - same idea - she wrote about my best part (hands) and all the things they do (rub her back, make cupcakes, hold her hand etc - it was a tear jerker). So that is how I am using it this year! I also wanted to share two last minute ideas that you might be able to use tomorrow (or file away for next year!). The first one was inspired by a fantastic idea and resource from Amanda at Collaboration Cuties and another great idea and freebie from Liz at The Happy Teacher. and one with word study questions. 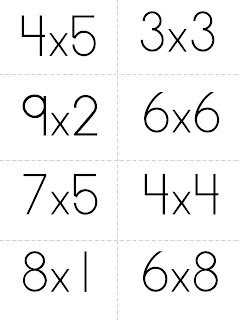 Click on the pictures to pick up the questions and recording sheets. This is actually the wrong font! 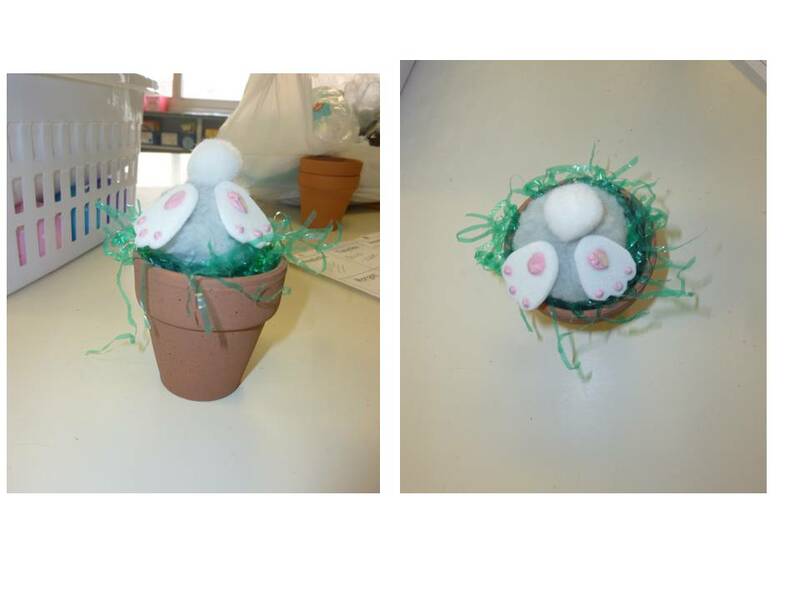 Lastly here is a quick little Easter craft we did today - they are called Bunny Butts. I am so stealing this idea for mother's day! Loooove it! I'm so excited you shared! What a great book! I have not heard of it! And I love your idea!!!!! So sweeeeeeet!!!!! Thank you for sharing!!!! Thank you for the shout out! I like your idea of hiding the eggs! Too cute!!!! I may try that tomorrow!!! Ahhhh....I love the bunny butts, they brought a smile to my face...love it! Also, thanks for the freebies. I love the Mother's Day idea too, how great would that be to receive that from one of your kids? Awesome! Thanks for sharing. As I read your post, I was thinking about the Dove commercials where the kids say what they love about themselves. I think it is all girls, anyways, I used it for media literacy...might tie in?? I think I got it from youtube. OMG! I totally love the idea for Mother's Day! I have that book and use it for the beginning of the year too! I can't wait to use it for Mother's Day! Do they use a photo too or just writing? Thanks for sharing! What a great idea! I love this! Thanks so much for sharing! I am always looking for a great Mother's Day idea and this is PERFECT!! I am also wondering what Joanne asked. Did your daughter have a picture with it or just write about it? Thank you so much for the inspiration! OMG!!!! You're amazing. 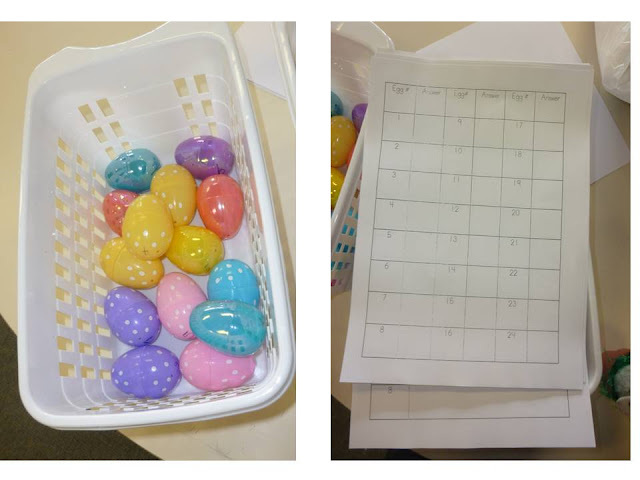 Today, I had my class do the egg scavenger hunt that you shared above. When my students walked into class, they were in awe. I told them that 'fluffy-the-bunny' must have come to our class while we were away. They were so 'egg-cited' to get started. I had them do the multiplication activity. They truly enjoyed it. The funny part was, near the end of the activity, I happen to look out my window and see a real live bunny. I then say to my students, "Oh, there's 'fluffy-the-bunny' now! You are so super sweet! I am so glad that your class enjoyed the activity. My class loves scavenger hunt type activities, basically any learning that let's them walk around with clipboards! That is too funny that you saw a bunny - perfect timing!